While stocking stuffers can certainly be collected over the months leading to Christmas, they sometimes also tend to be a last minute gift. 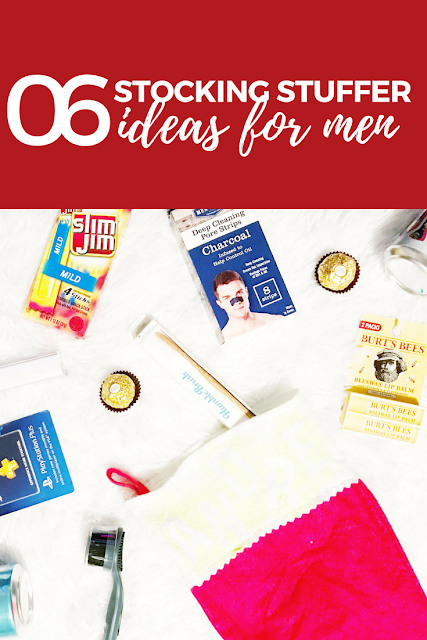 The hubby is the only stocking I currently purchase for, so these ideas will lean more towards gifts for men. Beer. I'm a fan of practical gifts, and this is practical. Andre enjoys a good brew. When we were a bit younger, I would always grab some of those individual $1 beers from the grocery store (Miller, Bud, etc. ), but as we've gotten older and little more into craft beers, I typically stop by our local wine and beer shop and pick up a few local crafts. Obviously, this can be altered to taste - but this is something I've been doing almost as long as we've lived together, and it's always a hit. Meat. Beef jerkies and beef sticks are yummy and are totally a fun stocking treat. It's something we both love but usually forget to pick up on regular shopping excursions, so it's perfect for this special time of the year. Or maybe he loves those meat and cheese sets that are so hard to find any other time of the year? Give him something he can gnash his teeth into! Facial care. Honestly, a lot of men don't tend to purchase face care items. 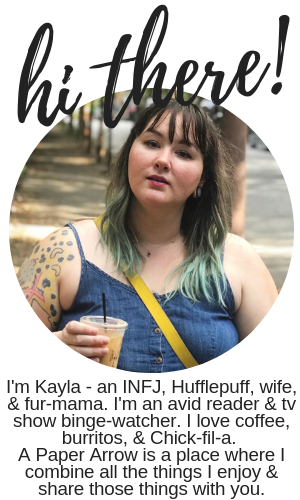 Instead, they may use your's. Purchase cleanser, loofahs, a toothbrush, and other toiletries with neutral or men-based packaging specifically for that special guy in your life. Small electronics. Items like a mobile phone car cradle or mount, earbuds, a power bank, or other small items may be the perfect stocking stuffer or gift idea. Practical items. What is something your guy may need right? Maybe he could really use a Swiss army knife, or a new keychain? I'm a big fan of a bottle opener keychain. Maybe his wallet's falling apart. Think outside the box - it really could be something he already has that needs replaced or something that would be useful to him in his daily life. Candies and sweets. Duh! This is obviously a no brainer and is generally in every stocking, but don't forget to alter it to your guy's favorite treats - a fan of macarons? Pick up those special treats. Likes Ferroro Rochers - grab some of those. But maybe, don't grab them from the holiday aisle - save money by buying the bag off its usual aisle and save some money. What do you tend to stuff in the stockings for the guys in your life? Good ideas. I'm putting a super-long iPhone charging cable in my husband's stocking - $10 from TJ Maxx! - plus lots of beef jerky.